This is the second volume of a trilogy about the life and Works of Pablo Neruda during the period 1918 1926. 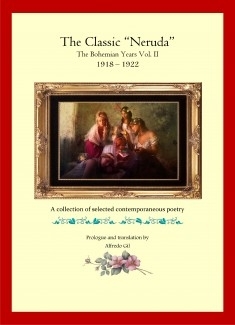 This Volume includes works written during the period 1918 1922, and includes for the first time the entire translation of THE NOTEBOOKS OF TEMUCO which was written when Neruda was 15 years of age and which revealed that at that time, Neruda was already sure that poetry was his inexorable path. It also includes works written for the University of Santiago student paper Claridad as well as the entire translation of THE ENTHUSIASTIC SLINGSHOOTER.